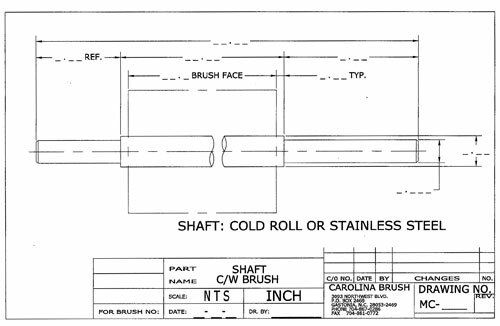 Cylinder & Wheel Brushes are other popular staple-set configurations. 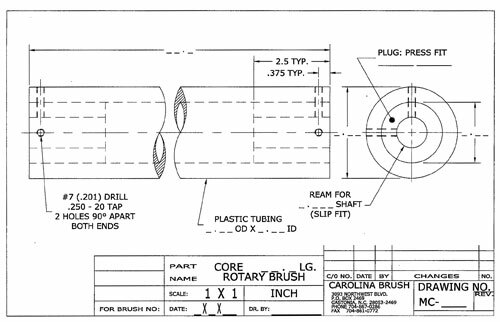 Like the blocks, rotary brushes can be manufactured with a variety of core materials, fibers and densities with either a solid or split core. Both can be engineered with STRAIGHT and STAGGERED patterns of tufts. In wider-spaced rows, SPIRAL and HERRINGBONE designs can also be specified. 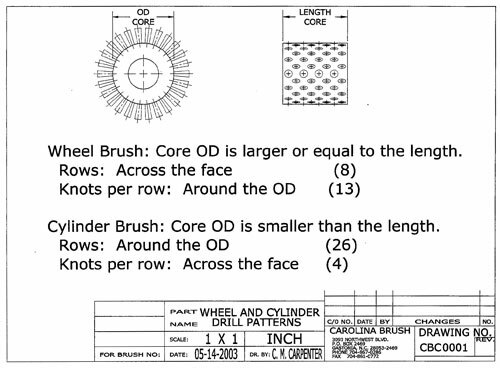 Cylinder brushes actual length is greater than the diameter, where in wheel brushes the actual brush diameter is greater than the length of the brush.